I’ve been intrigued by the popularity of BTS for a while, especially that my 14-year old granddaughter was so “obsessed’ with them. She has spent her snack money on BTS photos and the like. Little did I know that my grandkid has opened the BTS’ rabbit hole for me. They must have something different, I thought, because it was the first time – EVER – that I’ve heard of a K-pop group winning a billboard award. I watched the video, and to my surprise one of them spoke fluent English. I was equally impressed with his speech at the UN. I went over to Twitter and witnessed the massive RTs and ‘likes’ (more than a million) their tweets received. Everything that @bts_twt got connected with blew up. I’ve never seen anything like it on Twitter. And since, I was a blogger, I decided to research and write about this Korean band who was the Top Social Artist in America. Perhaps, I could gain some readers. That was my sole purpose at that time. I started my research by watching their other Billboard clips, then their live performances, their award shows, their interviews, and their Bangtan TV videos. I didn’t expect a diverse and profound concept from the group. I was compelled to find more of their content. As I kept watching and reading more about them through subtitled videos and even non-sub titled ones, I have come to appreciate and admire these talented and lovable ‘dorks’. And I have thoroughly enjoyed the incredible and exhilarating experience. It’s like being pulled into the epicenter of a magic kingdom, where you can listen to wonderful music, and watch superbly synchronized dances, while learning how to love yourself. It was totally mesmerizing. I have never experienced anything like it before. I realized how popular they have truly become, after struggling for the first year in the music industry. They have been cut-short in some broadcasts; apparently ignored by most local media because they came from a small company; and being told to their face that they wouldn’t make it. It was when I have come across their old video, where Suga talked about his financial strife during pre-debut years that I started to admire them – unknowingly. He recalled that if he rode the bus home, he wasn’t able to eat. This brought a lump to my throat. I began to empathize with them. I realized then how difficult it must have been for the young Bangtan Boys to have made their way painstakingly through the intricacies and challenges of the music industry. And I felt happy that they are where they are right now – the Biggest Boy Band in the World. They deserve all the accolades. When I have watched RM’s Artists of the Year acceptance speech in 2016, where he revealed that some people said they won’t make it, I cried with him. 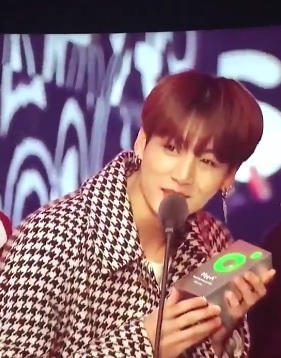 And when he thanked ARMY – that was when I knew I have completely fallen into the BTS’ rabbit hole. Here were 7 young men, who were humble and thankful to people who have given them the wings to fly. What hooked me more was the fact that they have remained humble despite the fact that they have become immensely popular – selling out stadiums all over the world – not only once but twice. All their award acceptance speeches refer to ARMY as the reason for their successes. Here’s a video compilation of some of their acceptance speeches in award shows. I have been in that rabbit hole since then, and I wouldn’t want to come out for the life of me. It’s a magic shop too in here, where I get my inspiration to continue to love. I can be what I want, and do whatever I opt to do, as long as these goals are positive ones. It has only been a few months; nevertheless, at my twilight years, I have come to the conclusion that I have still the ability to genuinely care about other people, aside from my biological family. I view them as my students/children who deserve to be lauded and supported. I laughed with their antics, and became proud of them when they triumphed. I felt their pain when they were in anguish, and I have never missed a concert even when I was not physically present. Thanks to fans, who shared their videos. I’m now a BTS ARMY, and I’m proud of it. But why is BTS different from other boy bands? What makes them unique? Other bands may be genuine too, but BTS are simply on a new level. They don’t ‘act nice’ in front of people and fans. They are truly nice, on and off camera. There are many good stories behind the cam that people witnessed about the septet. There was a story of Suga, who have rushed a sick fellow trainee to the hospital and paid for the bill. This was during their trainee days, so most probably, Suga was financially constrained at that time. You can notice their sincerity in everything that they do. When they perform on stage, you can observe how dedicated they are to their craft. They sincerely enjoy what they are doing; hence, this sincerity to be able to give their best radiates to the fans. It's what made me love them so much. They acknowledge that they have positve influence to people/fans, so they keep doing positive things and the fans return it by supporting them full force. This refers to other companies grooming boy bands. You can see them in jumpsuits, while all of the other groups are in suits. Once they appeared on stage with V carrying Suga on his back. to the delight of ARMYs. They don’t conform to the manufactured images of Korean “Idols”. They have ample freedom to do what they want to do, as long as these are within the bounds of decency. This is the reason why they can write their own stories in their songs, and compose their own music. BigHit has provided the proper environment for them to grow in their creativity in music. Most K-pop bands are directed on what to do by their own companies. Watch the video below by a BTS ARMY to understand more. In spite of their humongous success, they always thank ARMY and say that BTS is nothing without ARMY. They do this every time they receive an award. They don’t attribute their successes to their own talents. They always say these are all because of ARMY. Nevertheless, ARMY appreciate them because they are extremely talented in their own right. Each member has something significant to contribute to the group. 5. They connect directly with their fandom – ARMY. They know how their fans are important and they try to pay it forward to ARMY through their regular posts on Twitter and other social media sites, their VLives, Run Series, Web comics, ARMYPEDIA, and Bangtan Channel. 6. The messages in their music are unique, relatable and inspiring. Yes, as witnessed by millions of ARMY around the world, BTS’ music has inspiring messages through their songs. People from all walks of like, race or creed can relate to their unique music. The most prominent is the message: “Love Yourself”. Incidentally, this is the title of their previous albums. I have read many fans saying BTS have inspired them and have changed them into better persons. My day isn’t complete, as well, without listening or watching these 7 inspiring unicorns. On top of all these reasons, the BTS members are all talented and are total performers, who can dance, sing and rap. 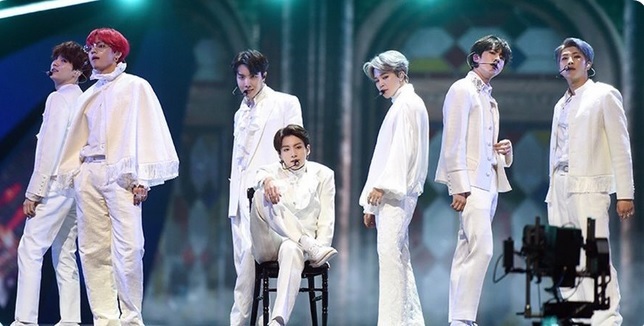 On April 12, 2019, their latest album, “Map of the Soul: Persona” will be released. The album has already pre-sold more than 2 million copies, and still 15 days to release date. With their current fame, the new album is predicted to capture the #1 spot on Billboard’s 200, and one of the Top 10 spots on Hot 100. I’m excited because this would be the first time that I’ll be participating as an ARMY. I’m sure my fellow ARMYs would help me appreciate the ride. I, also, look forward to their SNL appearance. Oh, and by the way, the previous articles I wrote didn’t fare well, I barely gained new readers. But, I don’t mind. I would still keep writing about them because I have been converted to an avid ARMY. I have hundreds of incredible things to say about BTS, but this page won’t be enough, if I did. You would have to discover them yourself. It would make your exploration more meaningful, as it did mine. Disclaimer: I don’t own these videos. They belong to their creators as indicated in the videos. See you on the BTS Comeback next month! I’m sure it would be a blast!